I moved to LA about 5 years ago. It took me 2 month to find a good supermarket, half a year to find a decent hairdresser and long 3 years to find a really good dentist!!! I have tried almost every other dental office on Ventura Blvd. I've checked out "fancy" offices in Beverly Hills & Palos Verdes, nothing was good enough for me until I made my first appointment with Dr. Gabrielzadeh in Woodland Hills Dental Group. Everything I was looking for in a dental office, I found here. Nice, clean, professional atmosphere, friendly environment, multilingual staff, all latest dental techniques & equipment. Now, it will take me another move to change my dentist again. Our family are all converts to Woodland Hills Dental Group. Both my husband and I have had multiple crowns and other major dental work from many dentists, and have experienced offices ranging from adequate to good. Dr.Piltser is excellent. 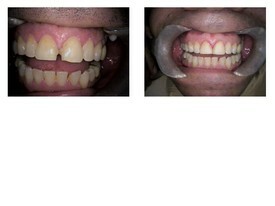 We have been patients since 2005 and would not go anywhere else after having experienced Woodland Hills Dental Group. 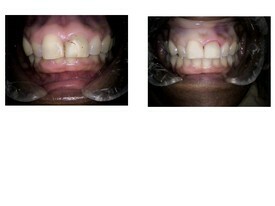 The dental work (crowns, veneers, implant teeth) are beautiful and indistinguishable from the other teeth. The office is very relaxed and Dr. Piltser is gentle and thorough. Their office has the most current innovations in dentistry. The office has convenient hours. Again, the relaxed atmosphere and gentle demeanor of Dr.Piltser makes the dental experience one without pain, and confidence that my mouth is in the hands of a perfectionist. Our children are also patients and prefer Woodland Hills Dental Group to their pediatric dentist. They aren’t scared to come to Dr.Piltser. Thank you to Dr.Piltser and Woodland Hills Dental Grpoup. Thank you so much! I can't believe how you guys helped me overcome my fears and get the care I needed. 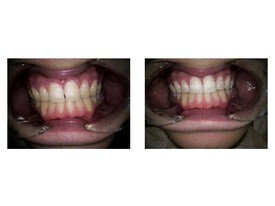 I had neglected my teeth for a long time and now, after about 3 month, my teeth are like new! I can eat anything I want and smile with confidence! Thank you, thank you, thank you! You are THE BEST! Doctor and assistant are the best I have ever had in Dental Care specialists. Front desk staff are also pleasant, helpful and courteous. I am happy with all. 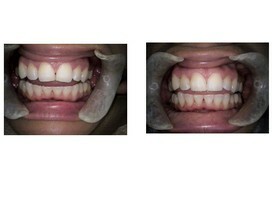 I had lots of cosmetic and necessary work and was happy I chose Woodland Hills Dental Group to do it! Dr. Gabriel has to truly be the gentlest dentist I've ever had! I found Woodland Hills Dental Group to be the most friendly dental environment I've ever experienced. I'm very happy with the work that was done and the doctors. Thank you. I have been extremely pleased with the level of service my seven year old and I have received from Dr. Piltser. She is the most pleasant dentist I have ever been to. She is very caring and you can tell she is genuinely concerned about the well being of her patients. My son is seven years old and feels so comfortable and relaxed with her as his dentist. I cannot remember feeling that way as a child visiting the dentist, so I am happy that he has no fear of having his teeth taken care of. Thank you Woodland Hills Dental Group and keep doing what you do! Which is a great job!